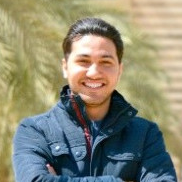 Hesham Eraqi is currently a Deep Learning and Artificial Intelligence Expert at Valeo with achievements distributed between multiple Product Lines, and he is an Adjunct Faculty at the Computer Science and Engineering department at the American University in Cairo (AUC). He received his Bachelor and Master of Science degrees in Computer Engineering in 2010 and 2014 from Cairo University. He has been a PhD fellow candidate with Highest Honors and highest GPA in class with award-winning PhD thesis. With 8+ years of experience in the Automotive Software Industry besides 8+ years of experience in Academia, Hesham's experience mix between developing high technology commercial products and conducting pure academic research. His projects are mainly in the area of Autonomous Driving and Active Safety, and his research team at Valeo conducts industrial research that enables new products. In addition to his filed patents, Hesham has 15+ publications between book chapters and journal & top international conference papers. He also developed a variety of awards-winning projects and his web articles about Deep & Machine Learning are viewed 100K+ times, and source codes downloaded 20K+ times with excellent reviews rate. As a Faculty and Visiting Lecturer, he prepared and has been conducting courses at top universities in Egypt including Deep Learning full courses. In addition to university-level teaching, Hesham Eraqi owns internationally-certified trainings, and conducted hundreds of industrial training and workshops hours worldwide. He is a speaker for 30+ talks (including TEDx) and tutorials at top international conferences about Deep Learning, and he is an active reviewer at 7 top academic journals and international conferences in his area. He supervised several graduation projects and organized several workshops at universities. Check out the incredible speaker line-up to see who will be joining Hesham.